Round and Round You'll Go - Finally a Decision is Made. Modular Mini Roundabout Construction Begins on Ravensworth Road at Jayhawk Street – The Federal Highway Administration (FHWA), in collaboration with the Virginia Department of Transportation (VDOT), will begin construction in mid-May, and take approximately three weeks to complete. It may take many a bit of time to comprehend, but there is nothing like a good Roundabout to move traffic along. During its construction, drivers can expect traffic shifts through the intersection, and are asked to reduce speeds, as crews generally will work from 7 a.m. to 7 p.m., Mondays through Saturdays. FHWA and VDOT identified the intersection as a candidate for the pilot project because it meets thresholds for a traffic signal, and the roundabout can be installed using recycled composite materials for its construction with no new pavement, utility relocations, drainage, or other work. The roundabout will provide improved safety for pedestrians, and operational improvements to move more vehicles through the intersection with fewer delays. VDOT will place message boards to notify the public about the construction. For more information about this project and mini roundabouts, visit VDOT's Web site at www.virginiadot.org/projects/northernvirginia/ravensworth_roundabout.asp, or call 703-259-2413. The Federal Highway Administration and Virginia Department of Transportation reported in a recent press release that they are planning to install a traffic roundabout at Ravensworth Road and Jayhawk Street in Annandale. The public is invited to a meeting on the project June 5, 7-8:30 p.m., at St. Barnabas Episcopal Church, 4801 Ravensworth Road in Annandale. Staff from the two agencies will answer questions and share displays at 7; the presentation will begin at 7:30. The roundabout would be an alternative to a traffic signal, says Terry Yates of VDOT. 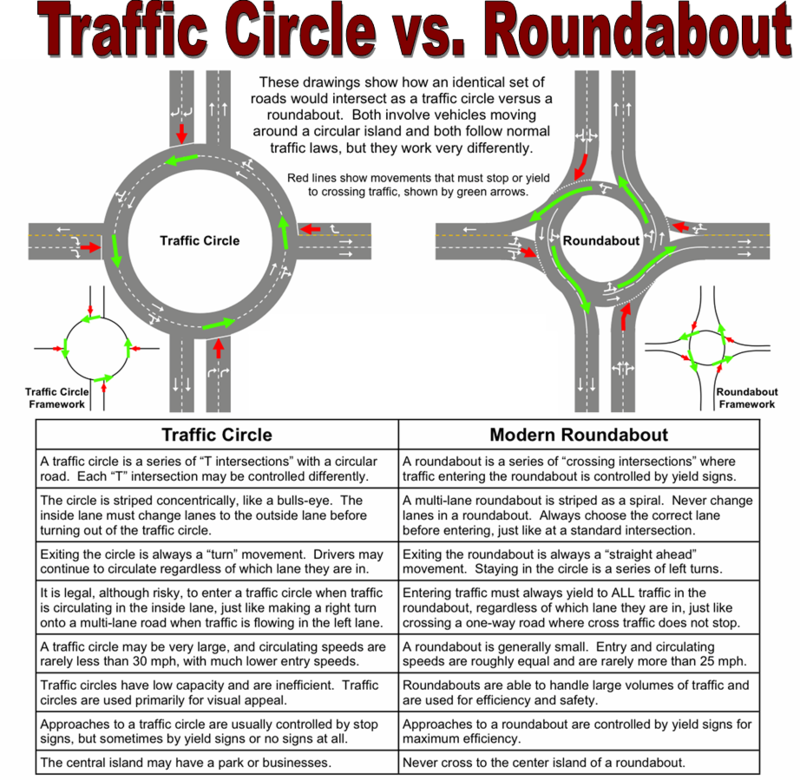 Roundabouts improve traffic flow and pedestrian safety. They also reduce fuel consumption and are more cost-effective than traffic signals. The roundabout, to be installed this summer, will be a temporary, modular structure using recycled composite materials. It would be evaluated by the two agencies for installation, function, and maintenance, such as how snowplows will be able to negotiate the structure next winter. If there are no problems, it could remain as a permanent structure, Yates says. VDOT identified the Ravensworth/Jayhawk intersection as a candidate for the pilot project because it meets the thresholds for a traffic signal and a roundabout can be installed there without the need for new pavement, right-of-way approvals, utility relocation, or drainage work. The roundabout at that location would be similar in scale to a mini-roundabout recently installed by the Town of Vienna at Park and Locust Streets.